brief history: buronson began his career as a manga writer after his discharge from the japanese air force. 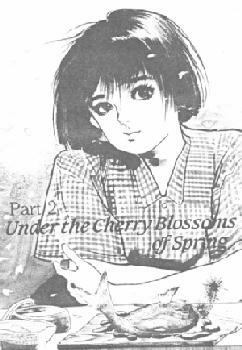 his debut work, pink punch masa was drawn by goro sakai. his first hit series was the post-apocalyptic fist of the north star (drawn by tetsuo hara), followed by the detective story, doberman detective (drawn by shinji hiramatsu). writing under the pen-name, sho fumimura, buronson's first collaboration with strain artist, ryoicihi ikegami, was the long-running political/crime thriller, sanctuary, a big hit not only in the united states, japan, but latin america as well. brief history: ikegami's artistic career began when he was hired as a sign painter in osaka after graduating junior high school. in 1961, he published his first manga short story in the graphic novel, mayako, or "magic mirror." in 1966, his story, sense of guilt, appeared in the famous underground manga magazine garo where it attracted the attention of tokyo artist, shigeru mizuki, who offered him a job as an assistant editor. in 1969, he drew the japanese version of spiderman (recently translated into english by marvel comics). from 1974-79, he worked with writer, tetsu kariya, on his first major series, otoko gumi, or "gallant gang," which was produced as a live action movie in 1976. ikegami's most popular titles include crying freeman, mai the psychic girl, samurai crusader, and sanctuary - all of which have been translated into english as well as several other languages.